Does Greasy Food Cause Acne? 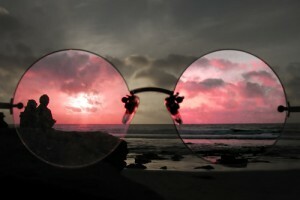 Imagine seeing life through rose-colored glasses. At first, you might think that the world is uncharacteristically pink, but over time, your experiences and perceptions of everything around you are sure to change. This phenomenon is exactly what Yale Assistant Professor of Psychology Dr. June Gruber investigated in her study on mania. An abnormally elated mental state, mania is often characterized by feelings of euphoria, lack of inhibitions, talkativeness, risk taking, and irritability. Using the lens of mania, Gruber examined how increased positive emotionality shapes one’s emotional experience and perception of others during a conversation between couples about a distressing topic. Her research revealed that heightened positive emotionality leads individuals to have a more positive emotional experience and perception of other people, inducing a positively biased “rose-colored glasses” perception of the world. Bipolar disease, otherwise known as manic depressive illness, is characterized by intensely emotional states known as ‘mood episodes,’ specifically an overly joyful manic state and an extremely sad depressed state. Image courtesy of Dale Gillespie. In the study, 68 romantic couples were first asked to fill out several questionnaires to assess their manic symptoms using the Altman Self-Rating Mania (ASRM) Index. Then, they were seated in chairs across from each other in a private room with an experimenter on intercom, and both were asked to discuss “a time in your life when you felt a lot of suffering or sadness.” Afterwards, the subjects reported their own emotional experience and perception of their partner’s emotions. An abstract depiction of seeing things through a rose-colored glass, similar to how Dr. June Gruber suggests people with heightened positive emotionality view the world. Image courtesy of Lesedi Mphelo. The data Gruber’s team collected from this set-up mostly supported their hypotheses, but also came with some unexpected findings. The scientists found that individuals with increased positive emotionality (higher ASRM scores) had a more positive emotional experience and emotional perception of their partner during distressing conversation. However, while the scientists had initially hypothesized that heightened positive emotion would lead to overestimation of partners’ positive emotions, they found that this was not the case. Instead, they actually saw that the positive emotionality only caused participants to underestimate negative emotions, and had no effect or bias in their perceptions of positive emotions. The couple depicted helps us visualize Dr. June Gruber’s study of the distressing conversations observed between 68 couples. Image courtesy of Raymond Lovett. The implications of this study for how individuals regularly experience and perceive emotion are huge. For one, this study was the first to show how heightened positive emotion directly impacts one’s emotional experience and perception in a socially rich situation. Perhaps its most important point is the existence of a “rose-colored” portrait of the world, one in which individuals perceive and experience negative social interactions in a positively biased light. Such individuals not only subconsciously interpret negative social contexts with positive emotional bias, but also project their emotions onto others, including their spouses . Overall, this study provides a deeper look into how experiences and perceptions change with emotion, ultimately leaving us to wonder where perception and truth separate, or if they can even be separated at all.